The age of drones is here, but how do you choose the best flyer? Your options mainly range from cheap, tiny radio-controlled quad-copters that are able to fly around your backyard up to full-fledged drones that have high-quality cameras installed and flight distance of more than one mile. We have a nice list of 6 drones that anyone can fly…and quickly. Before getting started, it is a good idea to get familiar with FAA regulations (for those living in the U.S.), so you can figure out where you can fly your drone and whether or not you need to register it. 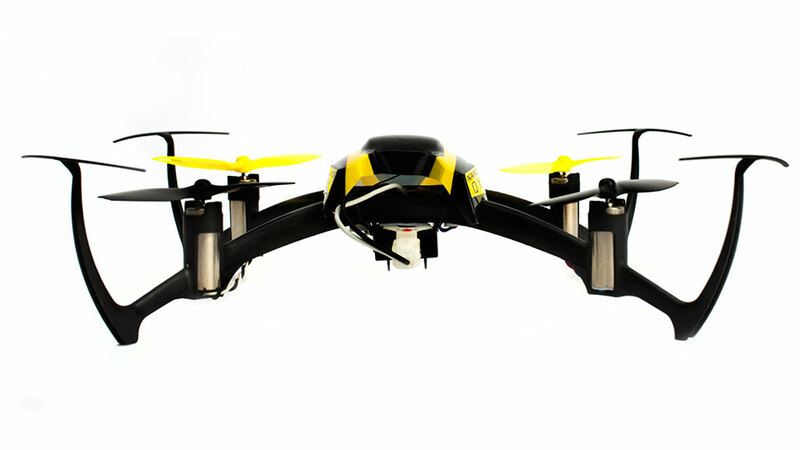 The following are six drones that are great fits for individuals ready to take off in flight. For the more serious drone pilots, DJI Phantom drones consistently have been one of the ones that are most recommended, with the Phantom 4 Pro being the latest and greatest of them. 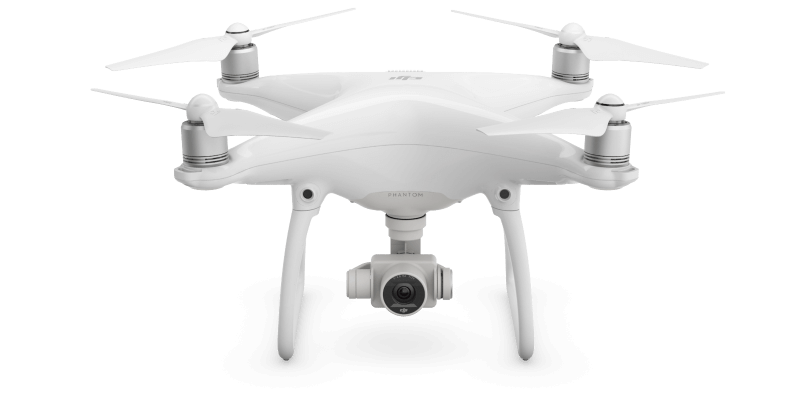 Some of the upgrades included on the Phantom 4 include a 20-megapixel camera as well as a large 1-inch image sensor that can shoot a 4k video at 60 fps. The sensor is around four times larger than a majority of other drones that are in its class. What that means is that you will get noticeably better results with the Phantom 4 Pro – unless you are willing to invest a few thousands dollars into an aerial device. If saving some money is important to you, and you don’t need to have the best video quality available necessarily, it is worth considering some of Phantom’s earlier drones. The standard Phantom 4 is right under $1,000 but does 4k video still, and older Phantom 3’s can be found for only around $400 at the time of this writing. If flying drones interests you more than using them to capture video – or you would like to use training wheels prior to making a large investment – you could go with the Blade Nano QX. You can buy a palm-sized quadcopter for only $60 that can be flown safely indoors or for more distance taken outdoors. Even at this price and size, this quadcopter handles a lot like camera-equipped larger drones and is hard to fly. Therefore if you practice with it first you will be well ahead of the game. It is also very durable (and the replacement parts are cheap), so you won’t need to worry that you will crash it several time while you are trying to used to it. It may sound hard to believe, but it is possible to buy a drone that comes with a HD camera for under $100. However, any high expectations need to be tempered. Among the numerous options that are available, the Syma X5C-1 Explore is definitely a favorite. 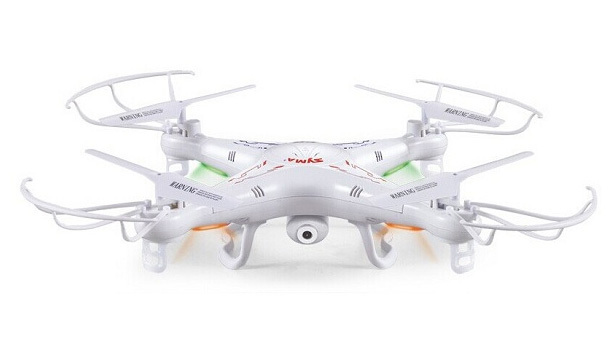 It is very enjoyable to fly and very stable, and for the price also delivers decent (although shaky) video. The earlier XC5 model was also viewed favorably by CNET, stated that it is better than what its price might suggest. However, as you may expect, with this drone you won’t be able to get too far. It only provides you with seven minutes worth of flight time at a time, and takes 100 minutes for the battery to be replenished. One of the most noticeable thing about the Yunee Typhoon is it comes with six rotors rather than four, which should provide better stability along with being able to continue flying in case you lose one. However, what is right underneath it is just as important. Due to the design of the Typhoon H, you can rotate the attached 4k camera an entire 360 degrees, which opens up possibilities you can’t find on most other drones within this price range. 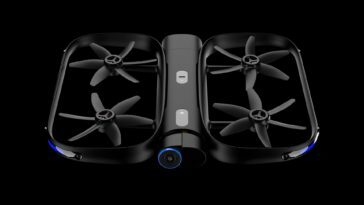 Digital Trends and Wired both found that this drone delivered both good quality video and stable flight. However, the Typhoon doesn’t have a great battery life or long recharge times, and it has a somewhat flimsier construction the drones made by DJI. To see how advanced drones have come in just a few years, all you need to look at is the DJI Mavic Pro. It looks very futuristic, but is full of capabilities that until recently were only reserved for much more expensive and larger drones into a very portable package. 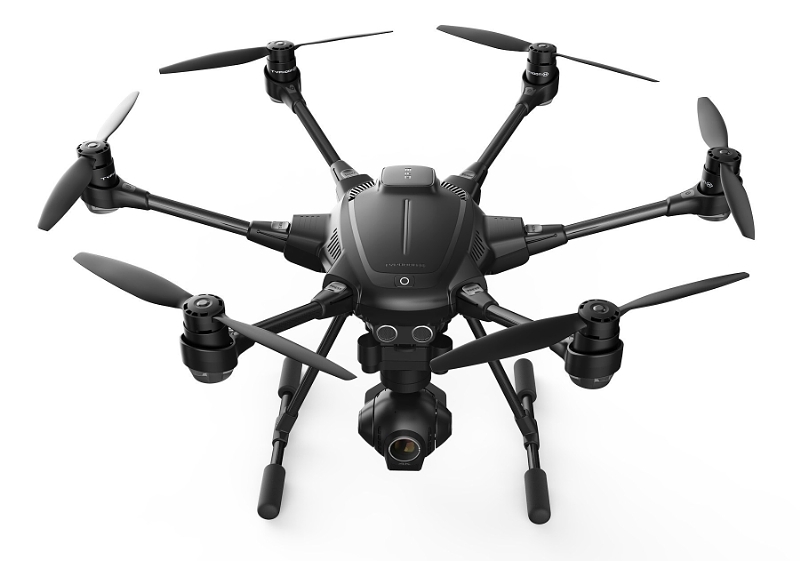 It isn’t very inexpensive at $1,000, however that will get you completely stabilized 4K video (or there is also 12 mp still images), speeds up to 40 mph, 27 minute flight times, and a control range of right over four miles. 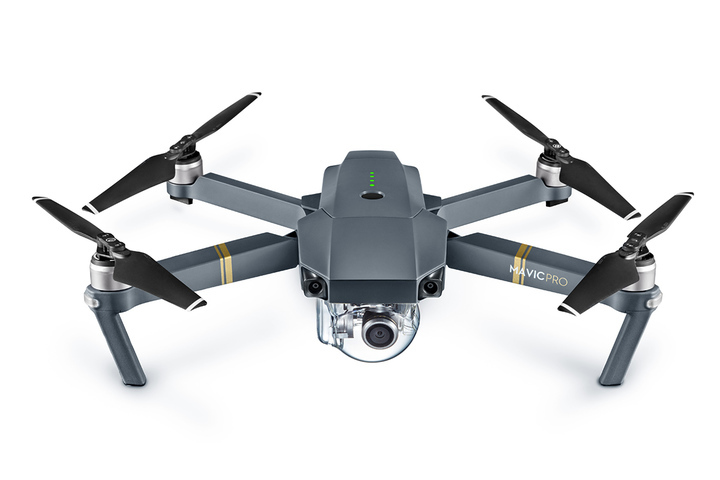 This drone is one that is recommended by several reviewers, although the Gizmodo and the Verge did both note that in strong winds it might struggle due to its small size. Although most consumer drones are either hexacopters or quads, there are other options as well. The cost of the fixed-wing Parrot Disco FPV costs around the same amount as the Phantom 4 or DJI’s Mavic Pro, however it will give you a much different experience and the speeds reach as high as 50 mph – along with a longer flight time of 45 minutes. As we discovered with our time flying the Disco, you are going to want to have a more open area than you would with a quadcopter for your flights – particularly for your landings, which does take some practice. Also, if your main concern is capturing video, then it probably isn’t the best option for you. Although it does come with a 1080 pixel camera, it only has so-so quality. While controlling the drone, you will probably want to pass on the FPV goggles that are included, since the FAA doesn’t recommend them. However, you can give them to somebody else for being a virtual passenger. 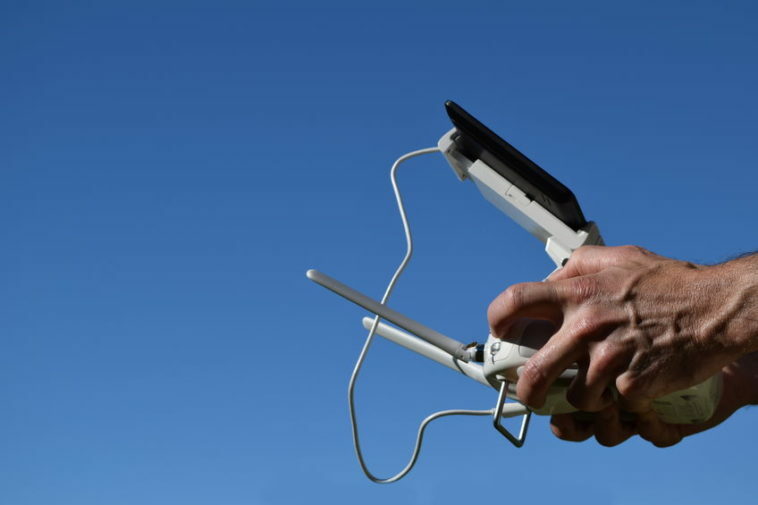 We hope you enjoyed this list of drones anyone can fly! Happy flying.